. Ever since its inception, the company is engaged in manufacturing and supplying all kinds of gym equipments for rapid response to ever-increasing market demands. These gym equipments are specially designed in collaboration with professional exercise experts, professional body builders, health and fitness consultants, reputed athletes and engineers. We are committed to design, manufacture and provide the best weight resistance gym equipments to our countrywide customers. Syndicate Gym Industries is abided with the compliance issues of buyers which is provided at most affordable prices for giving best values to the customers. We are proud to manufacture and supply a versatile range of gym equipments.
. We are empowered with state-of-the-art infrastructural facilities that give us strength to cater the customer's ever-changing requirements. 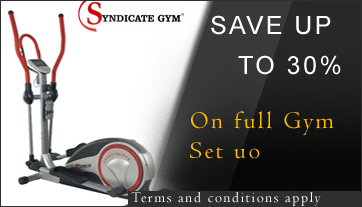 Syndicate gym equipments are engineered to accommodate your fitness level, your goals and your lifestyle. The company is known as reliable gym equipments manufacturer that is also a member of sports forum in Jalandhar. We have employed highly skilled professionals that assisted us to meet the customer's specific requirements as per their mentioned requirements. The complete production process ranging from sourcing of raw material to the final dispatchment is being held under the strict supervision of our honorable CEO, Mr. Amit Sethi. He has year's long experience, and rich expertise of the multifaceted industry and set us apart from other prompt growing gym equipments manufacturers in India. Under his able guidance, the company has gained the remarkable business dealings so that carved a niche for itself. Copyright © Syndicate Gym Industries. All rights reserved, : Piwania Technologies Pvt. Ltd.